Not just for the kitchen enthusiasts! This knife sharpening whetstone will keep your knives safe to use for years to come. Never use a dull knife as it is very dangerous. 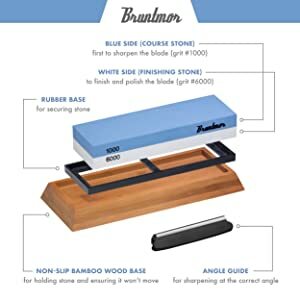 We're excited to introduce this easy to use knife sharpening whetstone. 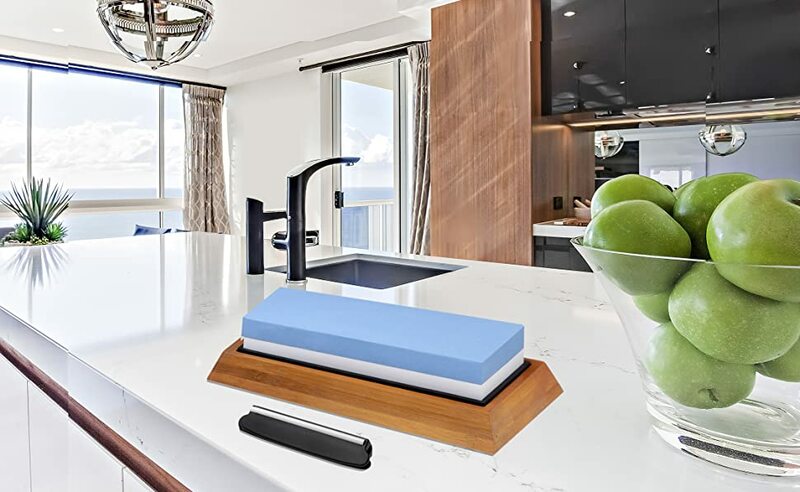 This whetstone comes with a wooden base so you can sharpen your knives safely without worrying about the stone slipping on your kitchen countertop. With two sides of grit (fine and coarse), you'll be able to sharpen all of the knives in your household. This isn't just a kitchen accessory, it's essential. Make your knives last forever! Great for restaurants too! A sharp knife is a fast knife, and a dull knife is an accident waiting to happen. It is crucial to keep knives sharp so that they cut through food with less slippage. Dullknives are dangerous because a dull blade requires more force to do the job and so has a higher chance of slipping and missing the mark.